“The Algonquin Anishinabe Nation Quebec tribe has never surrendered its title to the Kichi Sibi lands,” says Kitigan Zibi Chief Jean Guy Whiteduck announcing his community had filed Aboriginal title claim with the Superior Court of Ontario on Wednesday, December 7th, 2016. The lawsuit seeks to have the aboriginal title recognized naming the Government of Canada, Government of Ontario and the National Capital Commission in the negotiations. They assert title over a long portion of land on the south bank of Ottawa including the Parliament buildings, the Supreme Court, the National Library and Archives, the Canadian War Museum and LeBreton Flats. The assertion also includes the Chaudiere and Albert islands on the Ottawa River. 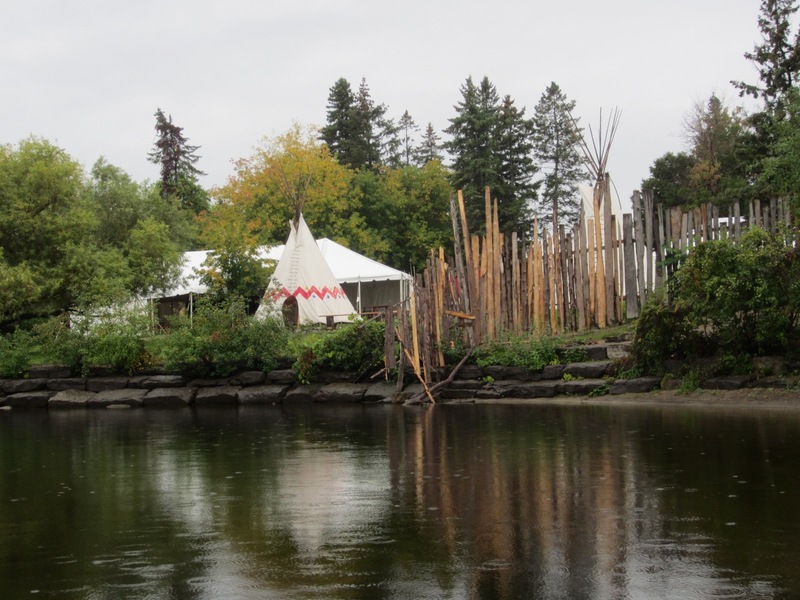 In addition, Kitigan Zibi asserts Aboriginal title over Victoria Island, a traditional Indigenous gathering spot and sacred meeting place used for centuries. The first mention of Ottawa is Samuel de Champlain’s description of Chaudiere Falls sacred use. “Canada and/or its agent (the National Capital Commission) have never compensated the Algonquin Anishinabe Nation for any of the federal interferences, either fairly or at all. Canada has a fiduciary duty to negotiate in good faith with the Algonquin Anishinabe Nation … for reconciliation of aboriginal title to the federal Kichi Sibi lands or any portion of them,” the lawsuit says. The Aboriginal title claim came from the Kitigan Zibi band of Maniwaki, Quebec, located 130 kilometres north of Ottawa. The Kitigan Zibi are the largest band in the Algonquin nation both in territory and in population. Most Algonquins live in Quebec with 9 of the 10 bands living in that province. Only one band lives in Ontario. They have a combined population of about 11,000. The Algonquin are original natives of southern Quebec and eastern Ontario in Canada. The Kitigan Zibi band lawsuit presents an obstacle to the completion of the Algonquins of Ontario (AOO) treaty negotiations which were headed toward a final agreement. The federal government, Ontario and representatives for the AOO have signed an agreement-in-principle on the modern-day treaty to negotiate a $300 million land claim settlement that also includes about 117, 500 acres of Crown land, representing less than 2% of the title lands. Currently, well over $20M is owed in legal costs to the federal government. The 36,000 square km is located in eastern Ontario stretching from Algonquin Park to Hawkesbury including lands in the Ottawa and Kingston areas. This agreement is said to take at least five years to be finalized. There are over 10 Algonquin communities in the Algonquins of Ontario, but only one, the Algonquins Pikwakanagan, is a recognized band under the Indian Act. Only this status band, Pikwakanagan, rejected the agreement when it was put to a vote last March. Kitigan Zibi, headquartered near Maniwaki, Quebec, also objects to the lack of participation of the other Algonquin bands. They feel it is not representative of a majority of the Algonquin people. Many other Algonquin Nations are considering legal action against the Ontario agreement. The Kebaowek First Nation’s whose territory is located in Western Quebec spreading across into Ontario will be impacted by the AOO treaty. The Kebaowek, Timiskaming and Wolf Lake First Nations are currently considering court action to stop the deal. The three communities say they have about 346,000 hectares of overlap territory with the AOO claim. Many Algonquin bands feel the current agreement in Ontario is short sighted. True reconciliation involves all the bands and citizens being heard with their active participation in the negotiations and coming to agreement of any treaty, law or arrangement that involved lands or rights they have. This is why one of the lawsuits, led by traditional elders, mostly grandmothers, seeks to force a say at the table. The media tends to simplify or terrorize the Canadian public with the “outrageous” claim of the Algonquin people to Parliament Hill and the Supreme Court lands, without mentioning that the very realistic Algonquin seek rightful compensation, not mass evacuation. There is no mention of the real history behind these claims, their legitimacy in international law, and their grievances of not being heard or participating in major decisions concerning this land, its resources and its future use. Land, money in proposed Algonquin land claim just a start, says chief. Chief Kirby Whiteduck wants more from the largest land claim being negotiated in Ontario. by Laurie Fagan, CBC News, October 19, 2016. Kitigan Zibi files Aboriginal title claim over Parliament Hill lands. by Jorge Barrera, National News, December 8, 2016. First Nation Lays Land Claim Over Parliament Hill. by Bob Weber, The Canadian Press, December 8, 2016. The court filing by the Kitigan Zibi chief and council apparently gave the governments 20 days to respond. It is now almost three months later. Do you know how the governments have responded, and/or what will happen next?